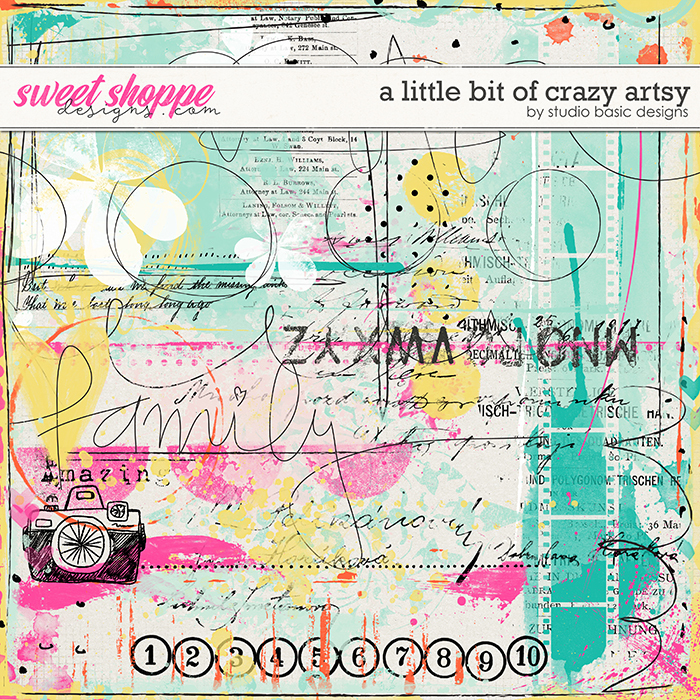 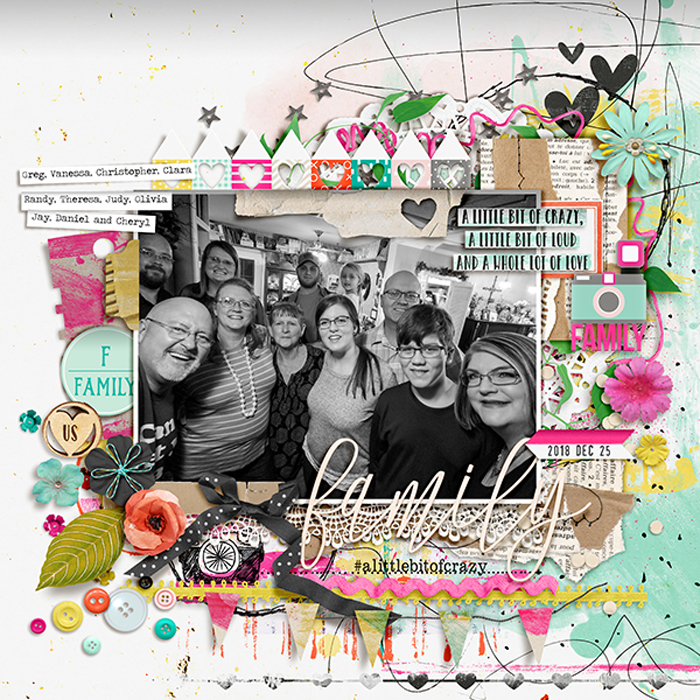 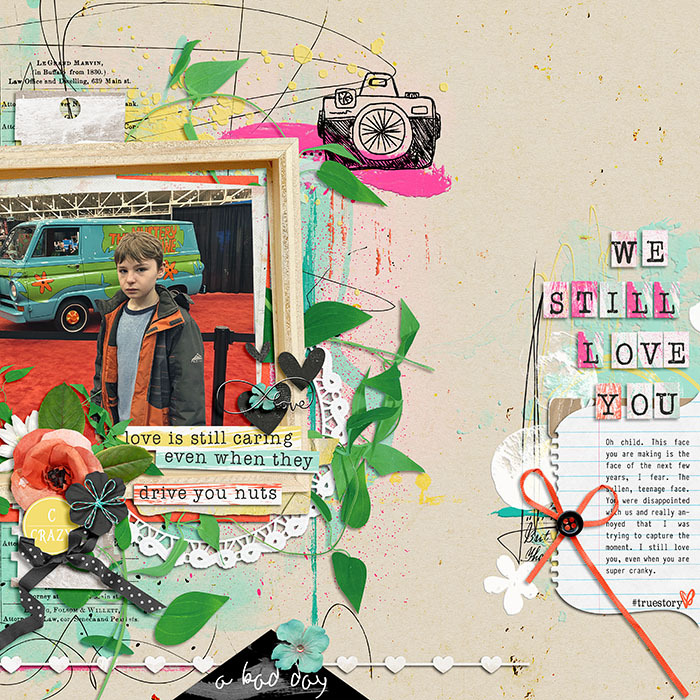 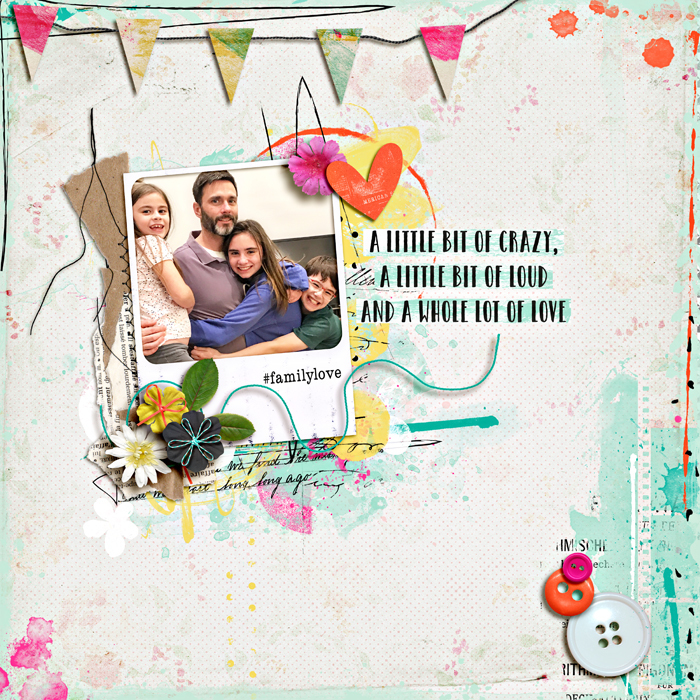 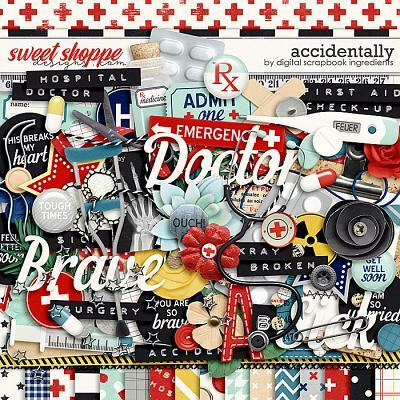 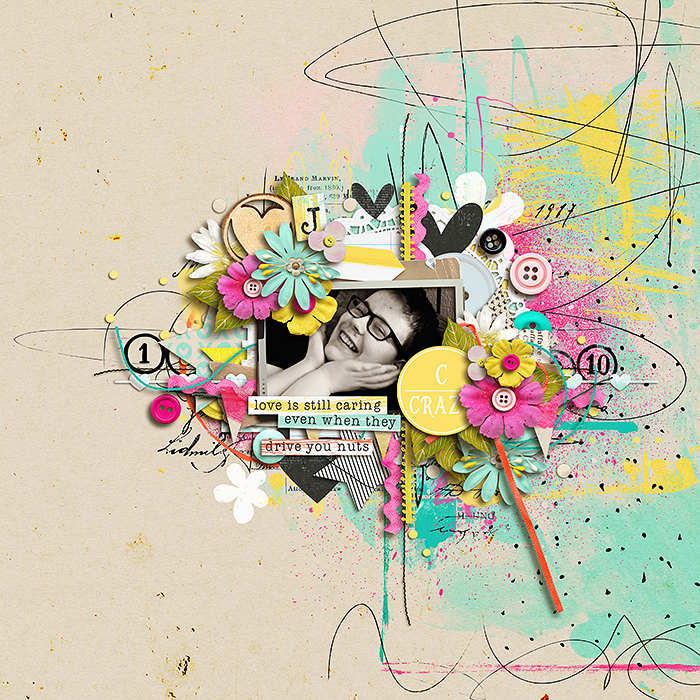 ‘A Little Bit of Crazy Artsy’ is a digital scrapbooking element pack by Studio Basic Designs, created to coordinate and complement her digital scrapbooking kit ‘A Little Bit of Crazy’: whether it’s the one we’re born with or the one we create for ourselves, family is so important, but goodness knows they can drive you nuts! 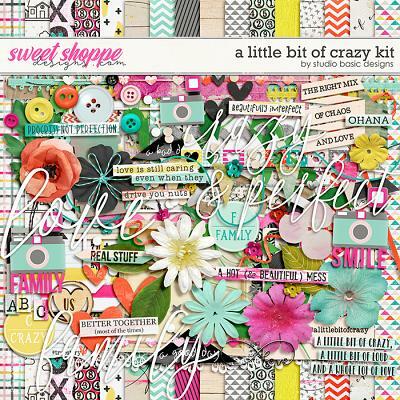 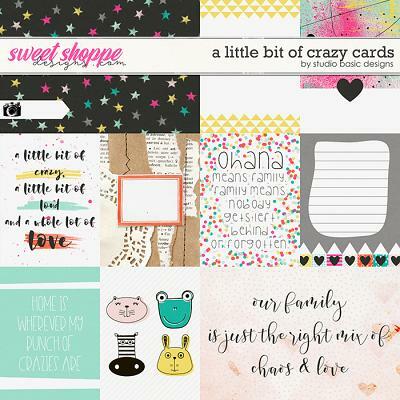 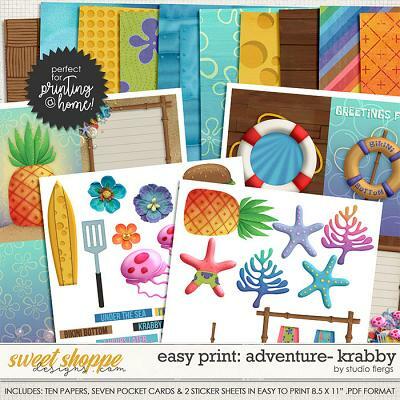 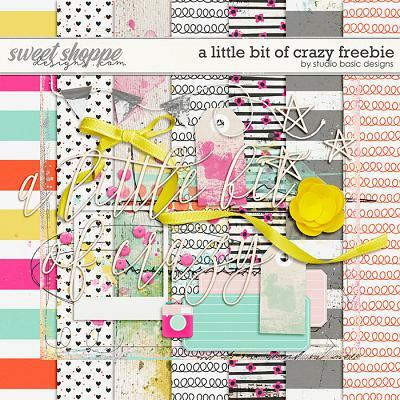 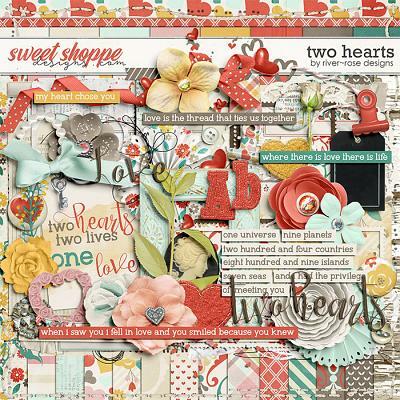 So, let it all out: share, scrap and journal the ups, downs and all fun times in between with inspiring word art, bold & wonderfully messy patterns, plus plenty of fab elements in pops of bright pink, orange, yellow and teal. 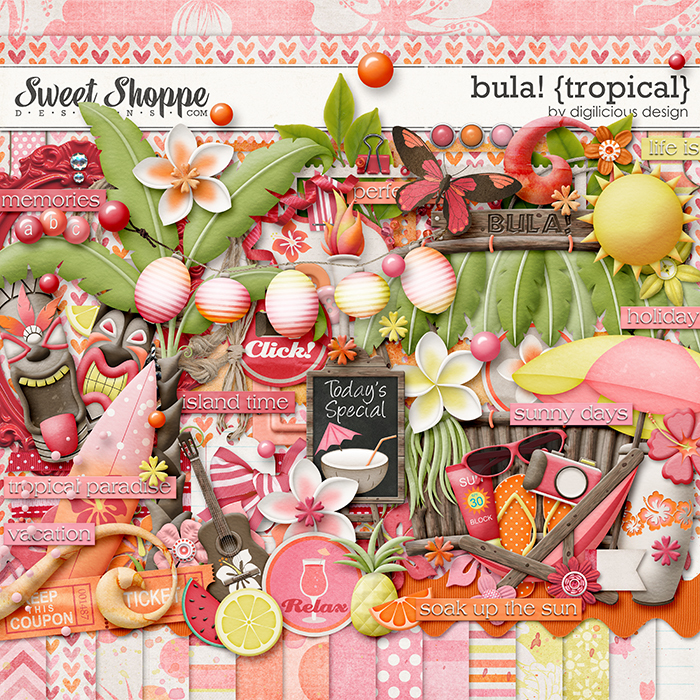 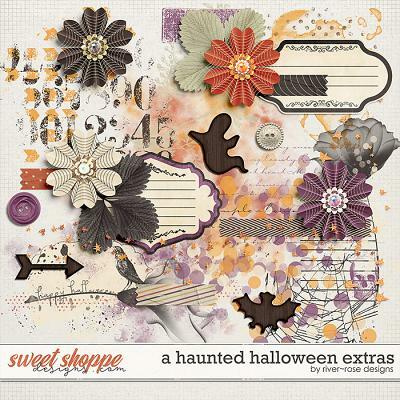 This add-on element pack contains a colorful mix of signature Studio Basic Designs mixed media delights – each created to add extra interest, distinctiveness and fun to your creations! 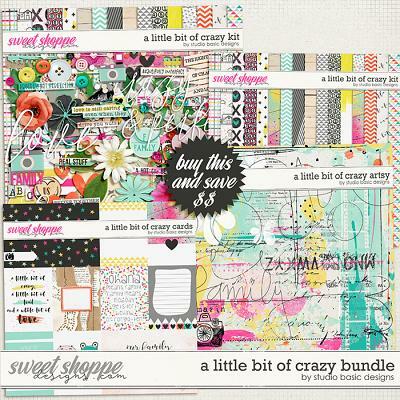 This element pack contains a grand total of 16 elements, each saved as an individual .png file.